Clean Burn is the leading provider of waste oil recycling systems. Interstate Energy, Inc. has been an authorized distributor of Clean Burn technology since 1986. As the only authorized Clean Burn distributors in the region, we are experts in the highly-efficient heating systems, helping businesses across Colorado and eastern Wyoming reduce their overhead costs by recycling their waste oil. Choosing Clean Burn for your waste oil recycling is a no-brainer. With a local Clean Burn distributor in your region, you get access to leading technology and exemplary customer service. Here's why Clean Burn has nearly 50 percent of the market share. Clean Burn is leading the industry because all of the heating systems are engineered from the ground up specifically to burn waste oil. The furnaces and boilers are not adapted for this purpose like many others on the market but rather designed to do exactly that. This ensures that the systems limit wasted energy and maximize the heat produced for the oil you burn. Clean Burn heating systems are equipped with an advanced technology system that can take any type of used oil or fuel oil to generate heat without negatively impacting the environment. The EPA recognizes Clean Burn as supporting the effort to reserve clean air. Clean Burn systems are among the lowest-maintenance offerings for waste oil burners on the market. Our sleek design means that cleaning is not required as often as other furnaces or boilers. When cleaning is required, our swing-away door makes it easy and much quicker. There's no need to adjust fuel intake and the system is engineered to run at peak efficiency. Not only are our heating systems backed by the exemplary customer service of our Clean Burn distributors but also by the leading warranty in the industry. Our products are built to last and we believe in the durability of our products so we offer a 100% replacement for your heat exchanger or combustion chamber for 10 years of 15,000 hours – our Clean Burn distributors are proud to offer the only 100% unlimited warranty in the industry. The Colorado Farm Bureau is an entity that strives to "preserve and protect the future of agriculture and rural values." The organization was founded in 1919 by industry leaders who wanted to protect the Colorado Way Of Life. Over the years, the organization has grown, bringing the agriculture community together to share in trials and triumphs, offering experience and expertise with others. As a way of sharing their knowledge, the Colorado Farm Bureau Buyer's Guide was developed. The Buyer's Guide is the premier resource for those in the industry looking for products and services. Interstate Energy is proud to partner with the Colorado Farm Bureau as Colorado's only authorized Clean Burn distributor. 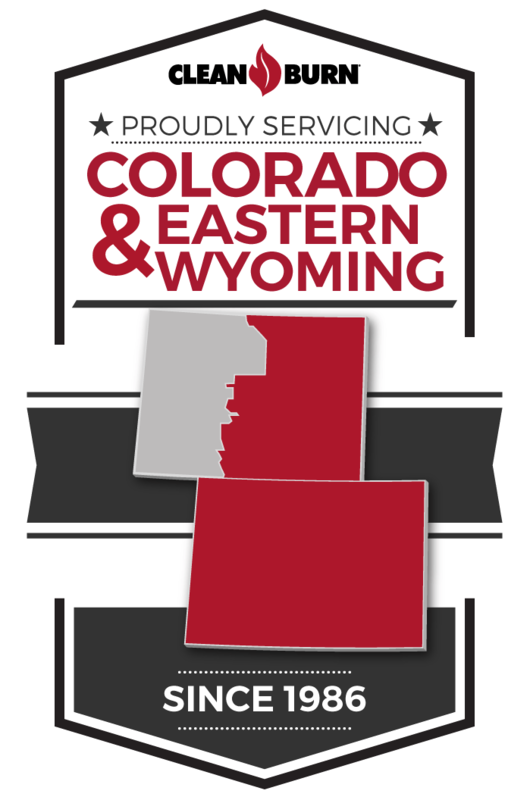 Interstate Energy is proud to be the only authorized Clean Burn distributor for the Colorado and Wyoming region. Owned and operated by U.S. Veterans, Jeff, and Christine, Interstate Energy operates on a customer- and community-oriented model. We pride ourselves on the customer service we provide. Our team of experts have an extensive knowledge of Clean Burn products and can help you select the right heating system, troubleshoot your waste oil furnace or boiler, and repair or replace products in a timely manner. Not only do we offer expertise as authorized Clean Burn distributors but we also offer a positive experience each and every time you work with us. The beauty of the Clean Burn distributors operating model is the small business feel with the big business capabilities. When you work with Interstate Energy to recycle your waste oil, you get a real person who's ready to help you save money and operate more efficiently. We're backed by a nationally renowned brand, so we have the capacity to offer the same kind of small-business dedication to our clients no matter the size of the project. Contact us today to schedule a FREE heat loss assessment and determine what waste oil burner is best for you.